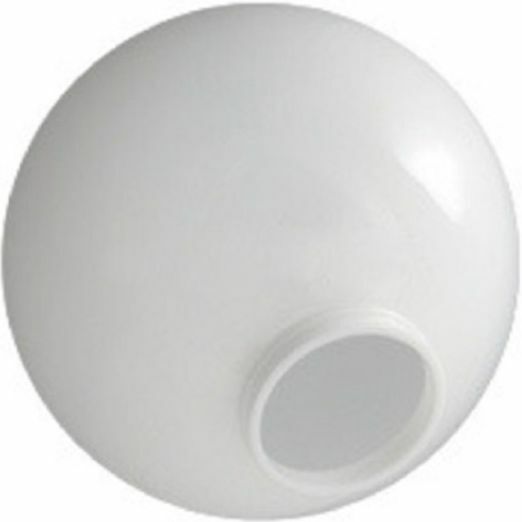 Globes are 10 inches in diameter with a 3.91 inch outside diameter solid flange, they are made to fit a standard 4 inch inside diameter post top fitter and are held in with set screw. good selection, good price, better than expected quality. they are much better than expected and much better than the ones I already have. The selection is great.. The 10 inch white acrylic lamp post globes I ordered were great. The quality was excellent and they fit perfect. Also fast shipping.